As many parents and teachers have come to find, simply telling a child to focus isnít enough to produce results. Sometimes they need an extra boost to get their minds on track. Whether itís in the class or during a soccer match, focus, focus, focus is a great, natural alternative to use when your childís mind tends to wander. Try applying with a 1% dilution liberally to your childís wrists or the back of neck. 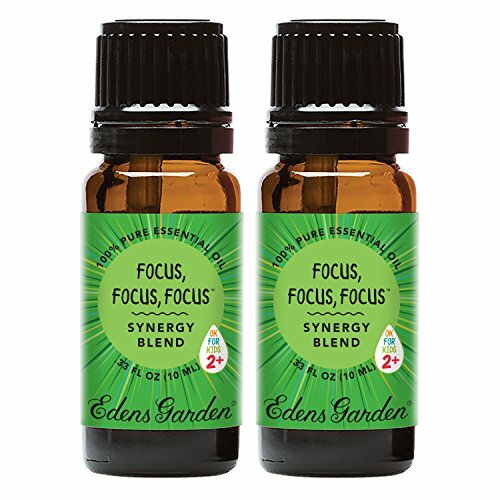 Focus, focus, focus is a blend of grapefruit, lavender, pink pepper, lime, cedarwood, sweet orange, east indian sandalwood, spearmint, geranium, osmanthus and vanilla. Plant Therapy USDA Certified Organic Basil Linalool Essential Oil. 100% Pure, Undiluted, Therapeutic Grade. 30 ml (1 oz).